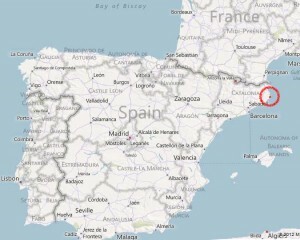 View a map showing the location of Casa Dos Torres in Calella de Palafrugell. We are on Carrer Chopitea on a level with the end of Carrer Gomera. Calella De Palafrugell is in the Province of Girona and is easiest reached by flying to Girona airport (45 minutes away). Flights to Barcelona and Girona, Spain. Numerous carriers fly directly into Barcelona from all over the world. Terminal 1 handles the major airlines while Terminal 2 the “low cost” ones. The most popular “low cost” airline is Ryanair and it has direct regular flights to Barcelona and Girona from the UK and an ever increasing number of other European countries. From the UK these include; Stansted, Luton, East Midlands, Liverpool, Bournemouth, Prestwick, Dublin, Gatwick , Bristol, Newcastle, Cork, Edinburgh, Dublin, Birmingham, Knock and Leeds Bradford. Other European countries with Girona connections include Belgium, Holland, Germany, Denmark, Sweden, Estonia, Greece, Finland, France and Slovakia. In addition, you can fly into Barcelona from some of the above plus Italy, Poland, Lithuania, Hungary, Norway and Portugal amongst others. Typically with Ryanair, their schedules are always changing so check out their site. See www.ryanair.com for details. Jet2 fly from Leeds Bradford, Manchester and Glasgow into Barcelona and from Glasgow, Manchester and Newcastle into Girona. EasyJet have flights to Barcelona from Belfast, Newcastle, Liverpool, Bristol, Gatwick, Stanstead, Doncaster/Sheffield, Luton and E. Midlands. See www.easyjet.com for details. TUI (Thomsons) have flights from a number of UK airports to Girona during the summer months. See www.tui.co.uk for details. During the summer there are numerous “charter” flights also to Girona airport which is only 45 minutes away by car. Barcelona is an hour and a half away by car but is motorway/dual carriage all the way to Palafrugell. Car hire is available at both airports and should be booked in advance. From the Netherlands, Amsterdam and Rotterdam there are direct flights into Girona. See www.transavia.com for details. depending on season. See www.sarfa.com for details. 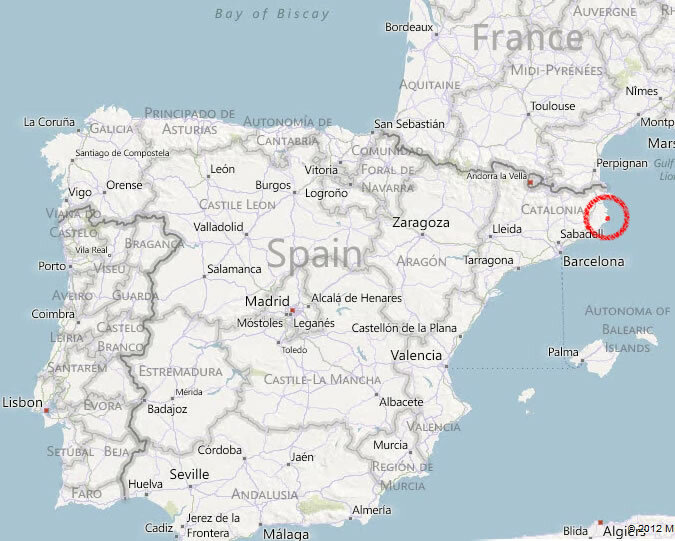 There is no train network close to Palafrugell. The nearest train station is Girona town.